The Mongolian Naadam Festival is a colorful cultural celebration, with fantastic displays of traditional sports. 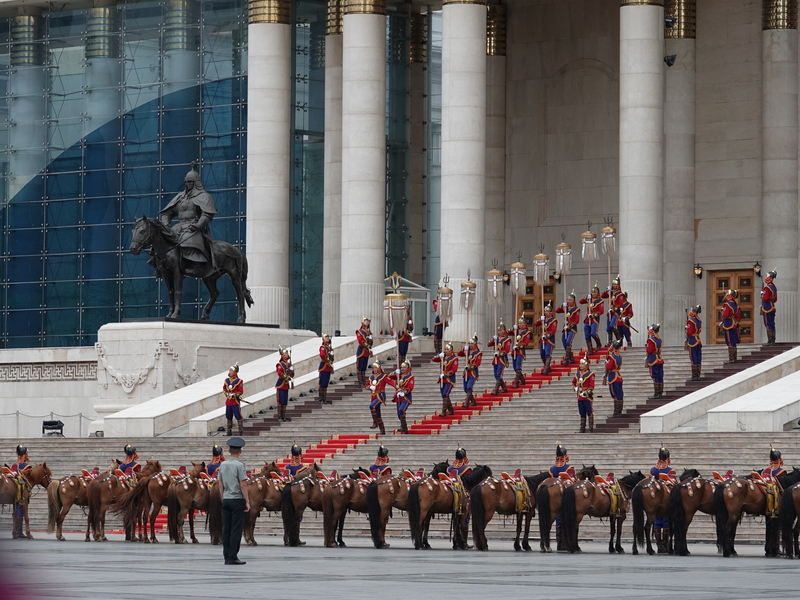 Marking Mongolia’s Independence, it is one of the most important holidays of the country from July 11- 13. Plan your riding holiday with Stone Horse Expeditions to take in the Naadam celebrations. 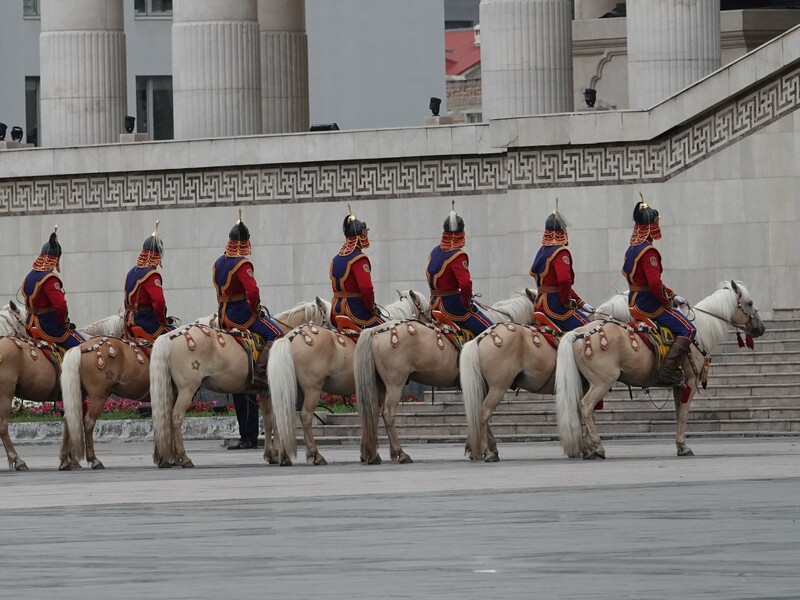 For guests taking part in our horseback expedition July 1 – 10 we offer a guide and vehicle, city tour on July 10, and visit to Naadam festival events for a fee of $ 200.00. 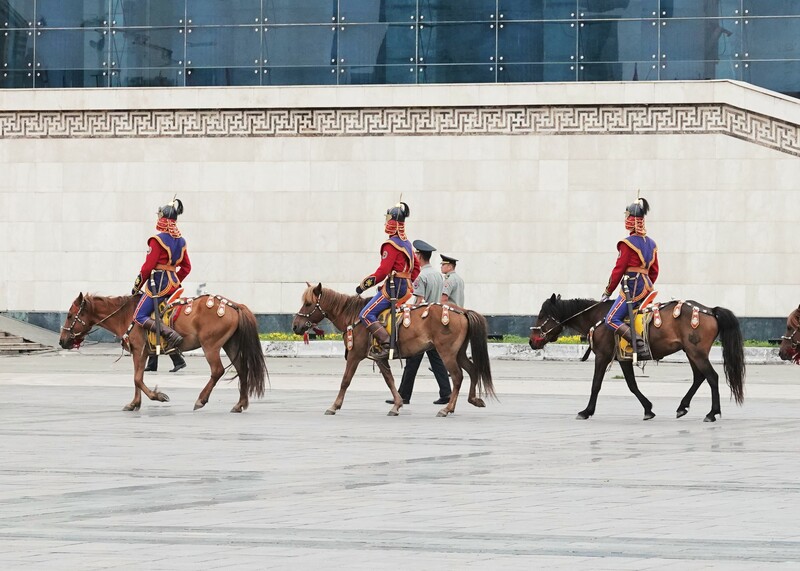 The same goes for the horsetrek tour July 16 – 25, for riding guests wanting to attend the Naadam Festival before their ride. The city tour includes visit to museums, the Gandan Monastery (Gandantegchinleng Khiid), lunch, and evening concert of the renowned Tumen Ekh Ensemble. For July 11, the package includes guide and vehicle to see the Opening Ceremony of Naadam, a visit to the horse races and fair outside Ulaanbaatar, or to the fairgrounds at the Naadam stadium in the city. The $ 200 does not cover the extra night in the hotel. 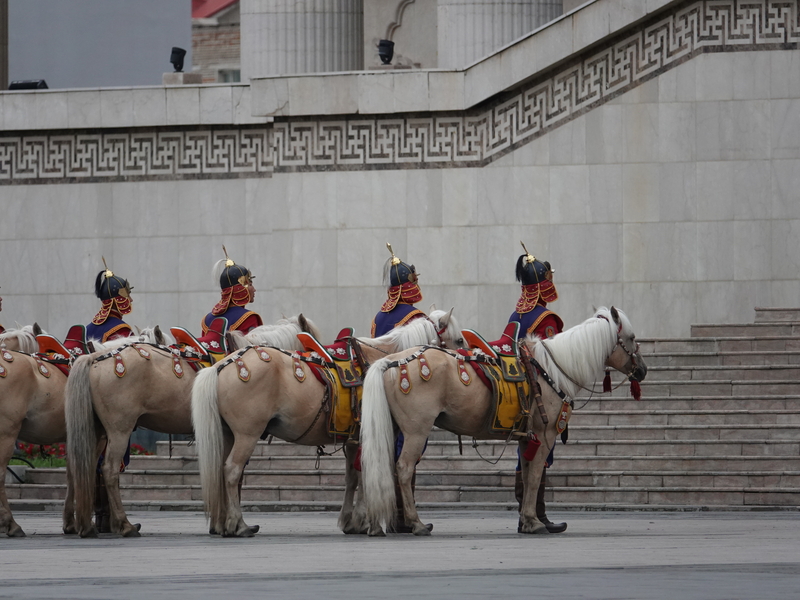 Make your reservations for your riding holiday with the Naadam package EARLY! 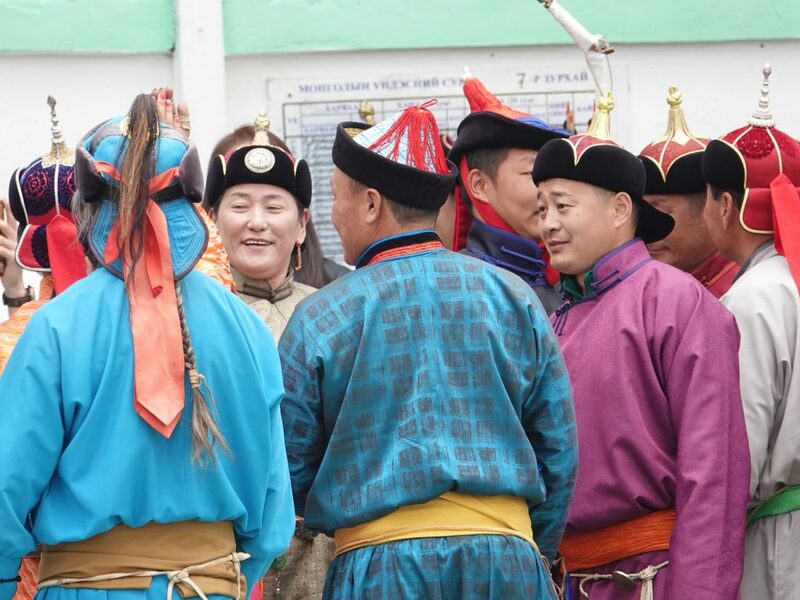 The opening of Naadam is an impressive ceremony to watch in the morning of the first day of the festival on Chinggis Khaan Square in the city center. 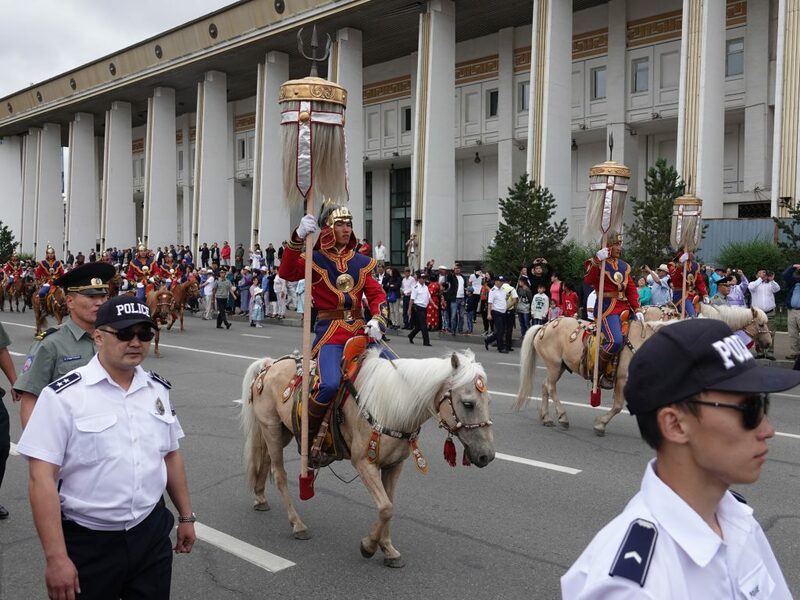 A parade of riders on light colored horses carry nine white banners (Tsaagan Tug) of horse hair from the Government House to the Naadam stadium. Made of horse hair to symbolize the central role of the horse in Mongolian life, the banners were an emblem of peacetime since the Khans and have been adopted again after the end of socialism. The National Naadam Festival takes places in and near Ulaanbaatar, the capital city of Mongolia. The three days of Naadam are marked by competitions in horse racing, wrestling and archery, celebrations and fairs. The celebrations are also named “eriyn gurvan nadaam” in Mongolian language, or the “three manly games”. The horse races are a sequence of races of horses of different ages. The jockeys are young children, wearing colorful outfits. Today, they are outfitted with protective gear for these races across the steppes West of Ulaanbaatar. 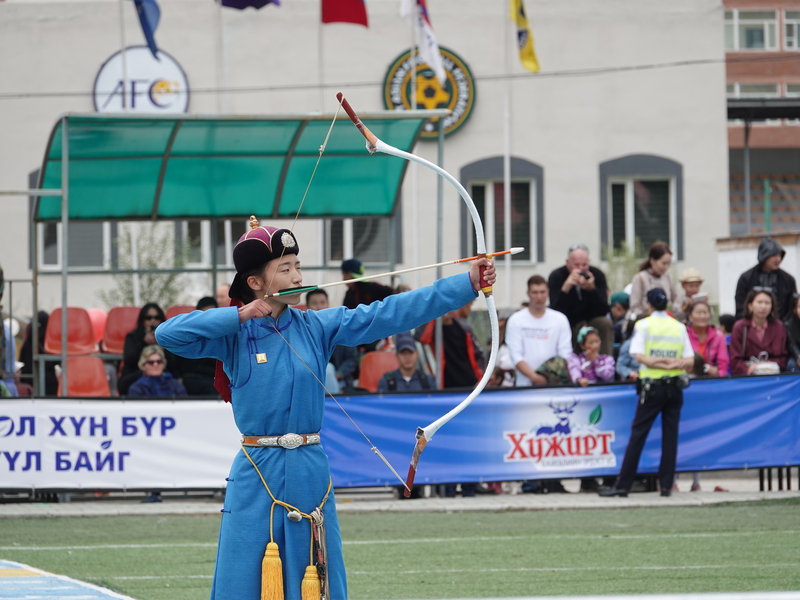 Wrestling and archery competitions take place in the stadium. Once situated in the outskirts of the city, after years of urban growth the stadium now lies just at the southern margin of downtown Ulaanbaatar. Archery is practiced by men and women, in separate competitions. Wrestling is by men only. The competitors wear colorful top and bottom costumes and traditional Mongolian boots during the matches that are without time limit. The winning wrestler performs steps resembling the movements of an eagle with wings spread. 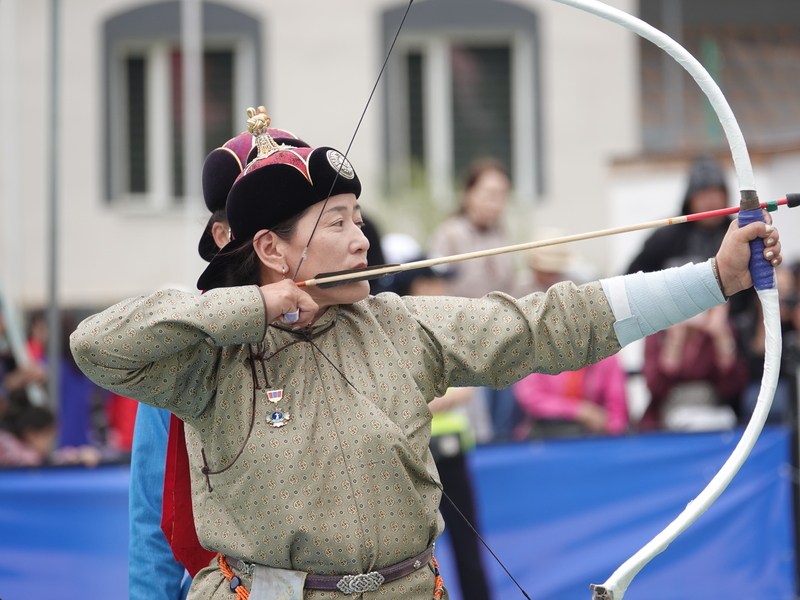 Competitions in wrestling, horse racing and archery are traced back to about 2000 years when tribal peoples celebrated the skills of war and survival in the steppes. Marco Polo, traveling to the Mongolian Empire in the 13th century, described the traditional festival held upon the behest of Chinggis Khaan to have featured no less than 10 000 white horses. In later centuries, the Naadam celebrations were held in autumn in conjunction with worship of local spirits and later yet in relation to Buddhist religious holidays. Naadam is a colorful festival filled with sports and cultural events and ending in great celebrations. It is an important state holiday, commemorating the 1921 struggle for and declaration of Mongolian independence. In 2010, Naadam was inscribed on the Representative List of the Intangible Cultural Heritage of Humanity of UNESCO. The Naadam festival attracts many visitors to Mongolia’s capital city, domestic and international. Many shops close, but for hotels in Ulaanbaatar it’s the height of season. It is therefore important to book early if you want to travel to Mongolia to include the Naadam Festival in your Mongolia experience. 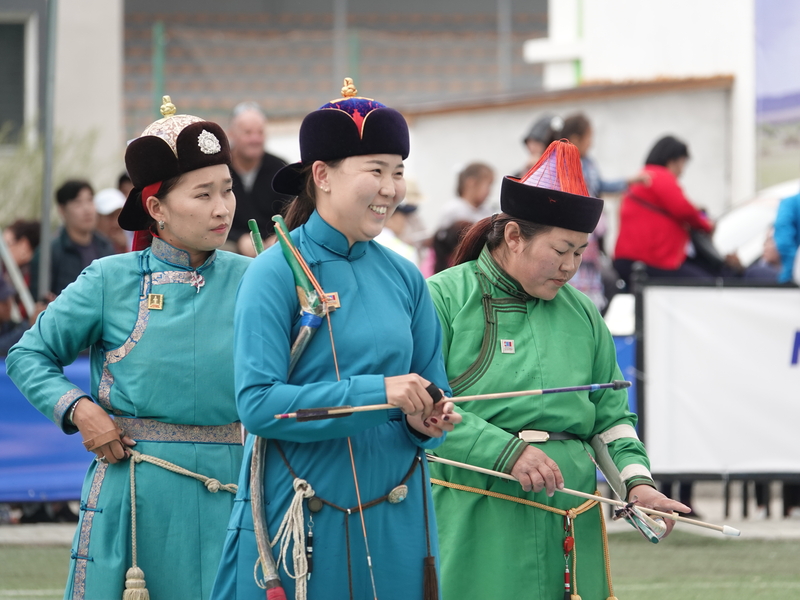 You can experience the Naadam Festival after the July 1 – 10 expedition, or before the July 16 – 25 tour. Make the best of your time in Mongolia, and visit the Gobi Desert too! Consider combining a horseback expedition with a Gobi desert tour. Our 6 Day Gobi Desert Tours are scheduled to fit in between horseback rides. Learn more..